Aware Pilates Santa Fe required a simple site to let students know what kinds of classes it offered. One interesting technique for websites with only a few pages is to have the entire website content accessible from a single long-scrolling home page. This site is super-optimized for mobile phones, which is especially important for businesses such as restaurants and exercise gyms. 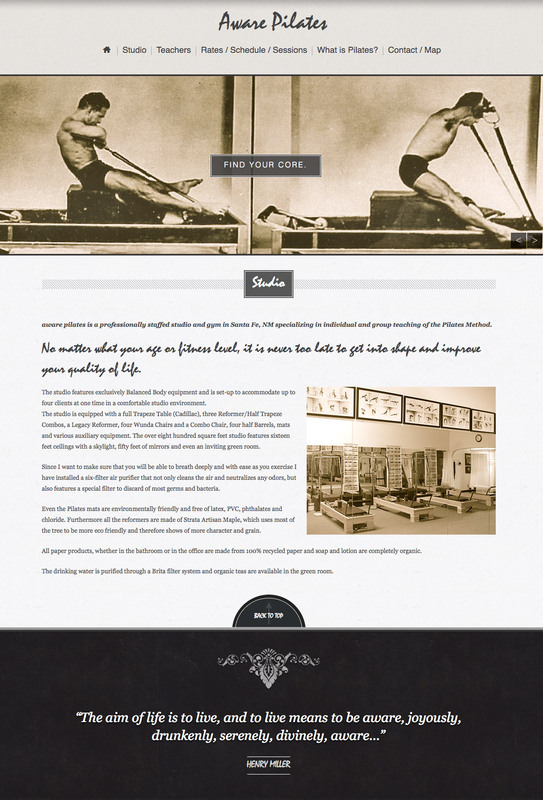 Visit awarepilates.com to experience the single-page scrolling technique.